Every other Wednesday, except for festivals and High Holy-days, an anti-Zionist group called ASHamed Jews meets in an upstairs room in the Groucho Club in Soho to dissociate itself from Israel, urge the boycotting of Israeli goods, and otherwise demonstrate a humanity in which they consider Jews who are not ASHamed to be deficient. ASHamed Jews came about as a consequence of the famous Jewish media philosopher Sam Finkler’s avowal of his own shame on Desert Island Discs. “Profoundly self-regarding,” you mean, was his wife’s response. But then she wasn’t Jewish and so couldn’t understand just how ashamed in his Jewishness an ashamed Jew could be. That I know of, there is no Jewish media philosopher named Sam Finkler nor any anti-Zionist group meeting regularly at the Groucho Club. They exist only in the pages of my new novel, The Finkler Question, and any relation between them and real people or organisations is of course coincidental. Though the ASHamed Jews are a satiric invention, my novel is not primarily a satire. It is a bleak tale of love and loyalty and the loss of both. It tells of three men, old friends, two of whom have recently lost their wives, and a third who has no wife to lose. The widowers are Jewish, the third man is not. But he would like to be. He envies his Jewish friends their warmth, their cleverness, the love they have inspired, and even their bereavement. It is a bitter irony that he protests his admiration for all things Jewish just as many Jews are protesting their desire not to be Jewish at all. As the rats desert the sinking ship, he alone – it might appear – is left to clamber aboard. The ostensible cause of these defections is, of course, Israel. Not the actual Israel. For the purposes of my narrative, Israel exists only poetically, in the imaginations of those who cannot adequately describe themselves without it. I happen to think this is largely true outside my novel as well: that Israel performs a function greater than itself, enabling or disabling ideas about belonging and disengagement, fanning the flames of ancient allegiances and animosities. For many Jews and non-Jews in this country Israel has become a figure of speech, the occasion for wild and whirling words, a pretext for bottling up or setting loose emotions which originate somewhere else entirely. I began writing the The Finkler Question in 2008 but it came to the boil for me in the early months of 2009 at the time of Operation Cast Lead, as a consequence of which, or as a consequence of the reporting of which – for it, too, like everything else to do with Israel outside Israel, was figmentary – England turned into an uncustomarily frightening place for Jews. I am not speaking only of the physical threats and even damage that some Jews endured, attacks on persons, synagogues, cemeteries, the Jew-hatred expressed by primary school children etc, but of that anti-Zionist rhetoric which, in its inflatedness and fervour – a rhapsodic hyperbole growing more and more detached from any conceivable reality – was so upsetting in itself. You do not have to be punched in the face to feel you’ve been assaulted: intellectual violence is its own affront. The mood of those months inevitably found its way into my novel. I wanted to record what it was like being Jewish in this country then, when it seemed reasonable to ask whether loathing of Israel would spill into loathing of Jews – such a thing is not beyond the bounds of possibility – and whether a new Kristallnacht was in the offing. Since many German Jews doubted they were in serious danger in the 1930s, how wise would it be of us to doubt we were in danger now? Ah yes, we told one another, but England is not Germany. The only trouble with that consolation being that, in the 1930s, German Jews didn’t think Germany was Germany either. There was, as there remains, a chorus of jeering Jewish voices warning against crying wolf. There is no antisemitism to speak of in this country, they say, but if we continue to go on about it. . . A fatuously contradictory precaution, since if antisemitism can be roused from its slumbers merely by our going on about it, then its sleep cannot be that deep. Let’s get something out of the way. I don’t think that being critical of Israel makes anyone an antisemite. Only a fool would think it does. But only a fool would think it follows that criticism of Israel can never be antisemitic, or that anti-Zionism isn’t a haven in which antisemitism is sometimes given leave to flourish. In some cases, the antisemitism to which anti-Zionism gives succour is inadvertent. I’d be surprised if Caryl Churchill, author of that odious piece of propaganda, Seven Jewish Children, turned out to be antisemitic in her person. But language has a mind of its own, and sanctimoniousness is catching. In its unquestioning affiliations, her poisoned playlet snagged on every cliché in the anti-Zionist commonplace book and came up with a medieval version of the blood-sucking Jew whom she claims -and I believe her – it was never her intention to portray. If her play was a sin against art and history, her greater, person-to-person crime was not to see, after the event, what she had done. She was the victim, she asserted, of the usual dishonest strategy of accusing anyone of antisemitism who “dares” (as though it takes heroism) to say a word against Israel. We know this assertion of victimhood well. It is a despicably dishonest strategy in itself, self-aggrandising, delusional, and not without a trace of the very antisemitism it disowns in that it assumes hysteria and malice on the part of every Jew who voices an anxiety. By claiming to be a persecuted minority, vilified by Jews shouting “Antisemite!”, those to whom anti-Zionism is bread and drink seek to exempt themselves from fair criticism. Indeed, by the sophistry of their reasoning, there is no fair criticism of what they say because every one who argues against them must, ipso facto, be a Jew with a Zionist axe to grind. Thus do those who cry “Blackmail” become blackmailers themselves. Thus do they erect a wall of inviolability around their every expression of anti-Zionism, and thus do they think themselves exonerated of all possible charges of antisemitism, since those who do the charging, they assert, have antisemitism on the brain. When it comes to Jewish anti-Zionists, their Jew-hatred is barely disguised, not in what they say about Israel but in the contempt they show for the motives and feelings of fellow-Jews who do not think as they do. There is, of course, nothing new in such schismatics; Jews have been railing against one another and indeed against Judaism from its inception. It was a Jew who invented Christianity. Monotheism probably explains this enthusiasm for dissent. The Jewish God demands a oneness it can feel like a positive duty to refuse. It might even be to our greater glory that we splinter with such regularity and glee. In our variousness is our strength. But then let’s call the thing that drives us by its proper name. Hiding behind Israel is a cowardly way for a Jew to express his anti-Jewishness. That half the time he is battling his psychic daddy and not his psychic homeland I don’t doubt, though I accept that, in political discourse, we have to pretend that what we are talking about is what we are taking about. But here is the beauty of being a novelist —- I can have fun ascribing pathology to whom I like. I know what’s really bothering them. They are my creations, after all. 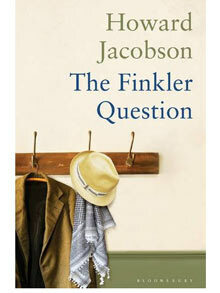 Howard Jacobson’s ‘The Finkler Question’ has been included on the 2010 Man Booker longlist. This piece, by Howard Jacobson, is from the Jewish Chronicle. Hirsh on the ASHamed Jews, or ‘new conservatives’, click here (some of the links don’t work any more). More on Jewish antisemitism here. Posts in our “as a Jew” category. In 1917, anti-Zionism was contraception. In 1947, abortion. Today, murder. That’s it. You cannot abolish the legitimacy of the process whereby Jews came to other than a tiny, highly discriminated against minority in the land, against overwhelming Arab Muslim and Christian hostility, yesterday and today, and seek to abolish their state, in a sea of potentially, often openly, eliminationist Arab and Islamic hostility (e.g. Hamas, Hizbullah, Iran, and maybe Turkey and Syria too) without imperilling its Jewish citizens. In a mirror response to Tom Paulin: leafy, plummy Hampstead anti-Zionists, who have to say the right thing to ingratiate themselves with the fellow members of their poetry group, make me sick. What a skewed sense of history: Jewish history in general and Zionist history in particular. Perhaps just simply a reflection of the ghettoized and colonized mentality of Jews who have seen themselves as perpetual victims until of course Israel came along to reverse the history of victimhood. But where were all the brave Zionists when it came to the Resistance and fighting Nazis? Buying their way to the Land of Milk and Honey? I wonder if the Zionists who fought and died in the anti-Nazi resistance in Europe and in particular as part of the Warsaw Ghetto uprising would be surprised to see that some little twit in 2010 says that they ran away. I guess not. I guess resistance fighters in the 40s had their own little twits to deal with too. Samuel Zygelbojm was not a Zionist nor were most of the members of Bund or the Warsaw Ghetto Resistance or the French Resistance; the Zionist legacy of fighting the Nazis was rather paltry compared those Jews who were socialists, communists or simply had their priorities worked out. It does not take a complex reading of the history of the resistance to Nazism to figure this out. Zionists would like us to believe otherwise but unfortunately history speaks for itself. Siegel, your willful ignorance is chilling. Perhaps those shirking Zionists should have taken luxury airplanes from Tel Aviv to Paris or London to join the resistance. Or how about the Zionists including Hannah Senesh, who were trained by the Brits to parachute into Hungary only to be rounded up and sent to Auschwitz? Or what about the intense anti-Semitism of some resistance units? You can’t reduce the story of Israel to good Jews/bad Jews dichotomy despite your anti-Zionist world view. The good Jew/bad Jew dichotomy is promulgated by Israeli state propagandists alongside their reductionist view of Jewish history which invariably distorts events as seen through the Zionist looking glass. Only a fool would deny that Zionists participated in the ‘resistance’ and only a fool would write a history of the resistance from simply a Zionist perspective which would be a grave distortion. b) getting trapped along with the rest of Europe’s Jews and surviving or resisting whether they could. Up to 1939, more than 10% of European Jews were subscribing members of Zionist organisations, the largest single group of political affiliation of Jews in history up to that point. You didn’t claim that no Zionist Jews participated in resistance, and I didn’t respond to that non existent assertion. Zionist Jews were also, by and large, trapped in Europe. And they comprehended the annihilationism of the Nazis at least as quickly as the Bundists. You made a wild assertion about the Warsaw Ghetto uprising, that Zionist Jews comprised an insignificant part. That is balderdash. Most units were Zionist, as was the leadership. As for the French resistance, obviously, highly assimilated Jews, and Jews who had all but left their Jewishness behind stood a better chance of concealing themselves than Jews who had not. Zionist Jews, obviously, were not such highly assimilated Jews. They were Jewish nationalists. They didn’t conceal their Jewish names, or convert to Christianity etc. The proportion of highly assimilated Jews in France and Western Europe was far higher than in the East. Jews like that could participate in (non-Jewish) national liberation groups. In a similar vein, the Bund, by association with socialist groups, and, in Poland, for instance, by being a national parliamentary party, had more local friends, from whom it could acquire weapons or supplies (though those friends were, it turned, fairly unreliable). If the Zionists wanted weapons, from whom could they acquire them? But, in the Warsaw Ghetto, they did, or made them themselves. And they proposed and consequently led the ZOB. The Zionists recognised the threat, as did the Bundists, though the Bundists, at first refused to fight with the Zionists. It was the people in the middle, the non-Zionists, who wouldn’t believed the threat and did nothing (and only an someone inhuman would refuse to understand why fathers and mothers preferred their children to die at peace, by poison, in their arms, than in the horror of a fight that was probably doomed to fail). In any case, the story is, for all its tragedy, an inspiring one. But I do not understand why you want to cut out or cut down the Zionist Jews in the story. For better or worse, Bundism did not survive. Zionism did. And the Zionists realised something the Bundists did not: in the end, the Jews would have to stand alone, without the help of the Polish national resistance. In the end, they would fight and die as Jews, not as Poles. Most of the fighting units in the Warsaw Ghetto were Zionist. The leadership was Zionist. The Bundists only deigned to join the Zionists AFTER most Warsaw Jews had been deported to the camps. Most of the French resistance weren’t Jews. Why would they be Zionist? Instead of name calling perhaps Zkharya should admit to his own ignorance. Perhaps you never heard of Zegota which was responsible for saving the lives of Jewish children (Bundist and not Zionist). Obviously a majority of the French resistance were French but the the Jews who were part of the resistance (a not insignificant number given the deportation centres) were mostly non-Zionists. As always, the name callers (and bigots) cover their ignorance with verbal diversions rather than facts. Which is exactly what calling somebody a bigot is. Just to iterate: the largest Jewish group affiliated to Zegota, was the Zionist led Jewish National Committee, which supported 5600 Jews. The Bund came next, supporting 1500. They all died, Bundist or Zionist, pretty much. Through Zegota, which was technically a branch of the Polish Home Army, about 4000 Jews were hid throughout Poland by GENTILES, not by Jews, Bundist or Zionist. Why does allan siegel put the word “resistance” in scare quotes? Siegel, I shouldn’t have called you rude names. I apologise. I didn’t say Bundists didn’t help Jews or take part in the resistance. You said Zionist Jews virtually didn’t. Jews in the Frence resistance (it sounds as though you have a French Connection): I wonder how you actually know what Jewish members of the French resistance thought about Zionism at all. Up to 1939, the largest single grouping of European Jews were subscribing members to Zionist organisations, the largest single group of political affiliation in Jewish history. I don’t have the reference, but it was in David Vittal’s A People Apart, which I borrowed from the library several years ago. If indeed it is true that most Jewish members of the French resistance had no sympathy for Zionism (and I am curious exactly how you define “non-Zionist”, or indeed, “Zionist”), or it was less than elsewhere, I’d say it probably reflected the fact that sympathy for Zionism was less in western European countries than Eastern, because Jews had generelly felt more secure in the west than the east, even up to 1939. Unless you are making a claim that Jews who were sympathetic with Zionism, once trapped in Europe, were less courageous in fighting Nazis. For Jews to be active in any resistance organisation was obviously difficult, for they had the added difficulty of disguising their true identities and names. Jews who were more assimilated, or who had changed their family names, had intermarried with gentiles, would find this easier than Jews who had remained outwardly and openly Jewish. Most Zionist Jews, who were mostly Eastern European anyway, prefered to fight in Palestine, where they stood a chance, rather than in Europe, where they didn’t. It was not the fault of your alleged Jews unsympathetic with Zionism that most French Jews were deported, but, if they succeeded in preserving themselves, and harrassing the Germans in France, or providing intelligence for the Allies, they obviously failed to preserve their fellow Jews. But, even so, contrary to your ahistorical nonsense, most fighting units in the Warsaw Ghetto uprising were Zionist, as was the leadership. As I said, the Bundists only deigned to make an alliance AFTER most Jews had been deported. Dear Zkharya, I am sorry but your information is not accurate; it is common knowledge that Marek Edelman was a Bundist and one of the main leaders of the Warsaw Ghetto resistance AND also that Bundists were organizing against the Nazis much earlier than most other Jewish political groupings. Yes, Zionists did participate in the resistance but it was not their main interest or concern (which was getting people to emigrate to Palestine). In France, the situation was similar (even more so) especially since leftists welcomed anyone (Jewish and non-Jewish) willing and able to fight the Nazis; in fact it was American Quakers and French protestants most involved in rescuing Jewish children. I’ve research this extensively so I have a bit of knowledge on the subject; furthermore, Zionists were more interested in smuggling weapons to Palestine rather use them against the Nazis. Unfortunately, the conduct of many Zionist leaders during the Shoah is far from admirable despite what some people would like us to believe. Israelis who have known me as an anti-Zionist of long standing are curious to hear what I think about Zionism. I have, of course, long since abandoned my anti-Zionism, which was based on a confidence in the European labour movement, or, more broadly, in European society and civilization, which that society and civilization have not justified. If, instead of arguing against Zionism in the 1920s and 1930s I had urged European Jews to go to Palestine, I might have helped to save some of the lives that were later extinguished in Hitler’s gas chambers. For the remnants of European Jewry – is it only for them? – the Jewish State has become an historic necessity. It is also a living reality. Whatever their cleavages, grievances, and frustrations, the Jews of Israel are animated by a fresh and strong sense of nationhood and by a dogged determination to consolidate and strengthen their State by every means at their disposal. They also have the feeling – how well justified – that the ‘civilized world’, which in one way or another has the fate of European Jewry on its conscience, has no moral ground to stand on when it tries to sermonize or threaten Israel for any real or imaginary breaches of international commitments. “In the 1960s [Deutscher] became more critical of Israel for its failure to recognize the dispossession of the Palestinians, and after the Six Day War of 1967 he demanded that Israel withdraw from the occupied territories. “This ‘six day wonder'”, he commented, “this latest, all-too-easy triumph of Israeli arms will be seen one day… to have been a disaster… for Israel itself.” Wikipedia: source: Deutscher, Isaac. An Interview: On the Israeli-Arab War. New Left Review I/44 (July-August 1967): 30-45. Get real, whoever posted the Deutscher quote – the man deserves a little more respect. (1) that for Deutscher, the erstwhile anti-Zionist, it is simply unthinkable that anybody could be an anti-Zionist after the Holocaust. (2) that Deutscher recognizes the reality that Bundism and Socialism were unable, as he had hoped, to save the Jews. We all hoped. But they were unable. And it turned out that the Zionists, who tried to help the Jews leave Europe, tragically, had the best strategy. If only European civilization and European socialism has been able to save the Jews. But it failed. The Zionist, bundist, socialist, nationalist resistance fighters in Nazi Europe failed. The ones who survived were the ones who left Europe. Nazism was defeated by the imperialist forces of Stalin’s Russia, the USA and the British empire. Isaac Deutcher, anti-Zionist and socialist, argued that Zionism played a more progressive role amongst Jewish resistance during the Holocaust than socialism or Bundism. Maybe he’s right, maybe he’s wrong. But to produce a quote from Wikipedia about 1967 is just babyish. So, unable to relate to the point of the Deutscher quote, Allan Siegel shifts the ground. He has nothing to say about the relationship between “Zionism” and the Holocaust. Instead he gives a Deutscher quote about 1967. Which has absolutely zero to do with the discussion at hand. So when you lose an argument, Allan Siegel, you just shift the ground. a) the largest Jewish group that supported the most Jews was the Zionist led Jewish National Committee. b) you create this fiction of Bundist resistance, as though there were more instances of it outside the Warsaw Ghetto, as though they weren’t herded to the camps like every one else. d) you have this fantasy that Zionist Jews trapped in Europe were trying to smuggle weapons to Palestine. The Bundists refused to join the ZOB because they trusted the Armia Krajowa to supply weapons. They did. A few revolvers. That’s it. When they realised they were on their own, then they joined the Zionists. e) Marek Edelman was a leader. He was not the leader. That was the Zionist Mordechai Anielewicz. And most units were Zionists. f) now Quakers and French Protestants are Jews, are they? g) Neither Bundists nor Zionist Jews were much able to join their ‘fellow’ national resistance forces, because they were 1) prisoners 2) obviously Jews. h) what your blether about Jews in the French resistance has to do with it, I don’t know. The Jews who did participate, like General Darius Paul-Dassault, were highly assimilated, with all manner of connections to begin with. It was hardly an option for most Jews. And Zionist Jews didn’t conceal their Jewishness. I’m happy to go on if you provide me with some more fodder. The topic of Jewish resistance has been researched far better than I will be able to; but what is clear from the muddled, contradictory responses to my initial remark is how poorly informed people, including most Jews, are about the resistance to Nazism and the role of various organizations. This discrepancy is simply a reflection of the manner in which people comprehend the past or its relevance; it also relates to the ideological prisms through which Jews (and others who have been the victims of racial discrimination and murder) understand Antisemitism and its historical parallels. The person who is most muddled is you, Allan Siegel. that Zionists were bourgeois while working class Jews were not Zionists. Allan Siegel, you were then confronted by the quote from Isaac Deutscher, the Trotskyist who thought it was obvious, with hindsight, that his own perspective had been defeated. How do you respond? You shift the ground to 1967. The only way you can do this is by reading back fron 1967 your conception of “Zionism”. You are the one who is skewing the history of the 40s to fit in with your own understanding of the 70s and the current period. What you are denying is that “anti-Zionism” after 1943 and after 1948 has a whole different political content to that which it had before. When Zionism was a political movement, it was entirely respectable to oppose it. But how do you oppose a nation state? You only achieve that by pretending that Israel is not a nation state at all, but a political movement. But you can’t re-wind history. If you could, why on earth would you stop in 1948? Dear Esterhase, I don’t rewind history rather I look for the threads that weave events and ideas into some form of coherence or comprehensibility… which is why the ideological import of 19th cent. Zionism is not so far removed from its present form as the major underpinning of the Israeli State… It may brand itself as ‘the Jewish State’ (more of a marketing concept than an ethical statement) but its outlook is more directly related to the Zionist view of its immediate neighbourhood and its place in the world (which makes it little different from other nation-states). I included the ’67 Deutscher quote to counter the one-sidedness of the previous one, give the man and his ideas a bit more credit. To say that, “it turned out that the Zionists, who tried to help the Jews leave Europe, tragically, had the best strategy” is a pitiful historical misrepresentation of facts. What exactly was this strategy if I may ask? I stand by my original question regarding whether to be Jewish and to be opposed to Zionism (like other forms of colonialism – to cross the T) is a legitimate position. Which I believe it is and something that no one seems ready to address directly. What I see mostly is an inadequate and distorted reading of history. The contexts could not be more different. 19th Century Zionism was a utopian, impossible, romantic nationalism. Only a tiny tiny percentage of European Jews left Europe. Zionism was an entirely unsuccessful and impossible nationalist movement of the oppressed. While of course there are some threads that connect 19th century imaginings of Jewish nationhood to the 20th and 21st century actuality, there was also the huge material shift in conditions for Jews in Europe. Israel did not come about due to a 19th century idea, it came about because Europe tried to sweep itself clean of Jews – pretty successfully. You give more explanatory weight to ideas than is warranted and you give much less explanatory weight to material conditions, which could not have changed more radically. That I think is Deutscher’s point. Deutscher’s post Holocaust view of Israel is quite distinct from his reaction to 1967, when he, being much more influenced by Stalinism than he should have been, thought that Israel should look to the Soviet Union for alliance rather than the ‘imperialist’ west. These are two entirely different discussions. You try to cloud the discussion of the relationship between Israel and the Holocaust by bringing up the much later discussion about the occupation and about global alliances during the Cold War. “It may brand itself as ‘the Jewish State’ (more of a marketing concept than an ethical statement)” – it is neither a marketing concept nor an ethical statement – it is a stark reality, whether we like it or not. I think we have good reason, as Deutscher was, to be ambivalent about it. To like it and also not like it. To be thrilled that Jews found a way to defend themselves and to live after the Holocaust, to be depressed that it was necessary, that European civilization failed to protect them. Jewish refugees could have gone to Palestine, there could have been Jewish self determination in Palesitne – without the conflict with, the victories over, and the oppresssion of the Arabs. Things could have been different. Depressingly what happened, happened. Due to the political failures both within Israel and also within the “Arab states” (Is “Arab state a marketing concept or an ethical statement?) – political failures by the democratic, pro-peace and antiracist political forces both within Israel and within the Arab states. “I included the ’67 Deutscher quote to counter the one-sidedness of the previous one, give the man and his ideas a bit more credit.” – I think the quotes above give Deutscher serious credit – he was a serious socialist, not a fool who was unable to grasp the enormity of what the Holocaust meant for Jewish life. All this means is that for Jews in the early 1940s, escaping alive was a most powerful form of resistance. To have babies and to build an army wit which to defend the babies was also a form of resistance. It is a category error. You can be opposed to “Zionism” in 1904, in 1929, even in 1935. But being opposed to a political movement is not the same thing as being opposed to an actually existing nation state. Israel is not an “ism”, it is not a movement, it is a state. It doesn’t make any sense to oppose it, as a state, any more than it makes any sense to create an anti-ism out of French or British nationalism. There is no “anti-Britishism” or “anti-Frenchism” – these would be abusrd worldviews. Their one-sidedness and self-centredness would be obvious. So why is there “anti-Zionism”? “Anti-Zionism” – the creation of an “ism” against Israel – the forging of a political identity based on the smashing of the Jewish state – puts the Jews firmly back at the centre of the world map. Antisemitism always put the Jews at the centre of the world, at the centre of what is wrong with the world. Anti-Zionism puts them back there too. As the keystone of global imperialism, as holders of a uniquely illegitimate and racist nationalism, as the only state which is regarded not as a material fact but as an idea and as a political movement which can be defeated and refersed. Instead of the Groucho Club, we in Brighton have The Cowley Club. This is a social centre on the shabby London Road, near the derelict Co-Op store. It houses a vegan cafe, radical bookshop and library during the day, a bar/gig space during the evenings, and is a base for a variety of other political projects. The club “is collectively owned and run on anarchist principles for those involved in grassroots social change and those sympathetic to such activities”. One of its most provocative attendees is Simon Levin. I am guessing from his name that he is from a Jewish family. Simon Levin was one of the Smash-EDO Group who broke into the EDO/ITT factory in Brighton that makes release mechanisms etc. for the US and UK airforces. As F16s are supplied by the USA to Israel, Nigel and his friends thought it would be an effective anti-Zionist act to do £180,000 worth of damage, in solidarity with the people of Gaza. After their arrest and charge for criminal damage, on the clear direction of Judge Bathurst-Norman, the jury cleared them because it accepted that the group’s act of vandalism was justified because “they had been trying to prevent Israeli war crimes”. This was a classic example of double-standards because, in 2003, the same Judge, Bathurst-Norman, jailed a man for 3 months for decapitating a statue of Margaret Thatcher. In that decision, he said that although many people sympathized with the man, smashing up property deserved a custodial sentence. Meanwhile, freed by Judge Bathurst-Norman, Levin has resumed his anti-social activities, on the basis sanctified by Caroline Lucas, in the EDO case, “that all democratic avenues had been exhausted”. Last week he was part of a “Palestine Solidarity Settlement” created in Brighton and Hove’s Waitrose store. During an hour (or more) occupation of the store, letters were handed by the group (who found time and space to erect a tent) to customers signed: “Simon Levin on behalf of the Brighton Jordan Valley Solidarity”. I look forward to reading Howard Jacobson’s book of fiction. However, here in Brighton, the reality of anti-Zionism sometimes tipping into anti-Semitism is not so much of a pleasure. Nothing anarchist or vegan about what Simon Levin did. It would have been properly anarchist if they’d just smashed up an armaments factory and then quite openly paraded the fact around, saying that they targeted it simply because it was making weapons. Hiding behind their (as it turned out inaccurate) claim that the factory was linked to Israel in order to shirk the consequences of what many genuine anarcho-pacifists would consider a legitimate action in itself regardless of the state being supplied, essentially “chickening out” of their supposed beliefs, is what makes their supposed “anarchist” standpoint look distinctly shaky. Except EDO MBM do not actually supply anything to Israel. Levin and friends smashed it up for something it doesn’t do (supply the one Jewish state in the world) instead of what it is known and licensed to do (supply NATO forces in Iraq and Afghanistan). Not the brightest of Brightonians. That’s why I pointed out that their claim was inaccurate in the first place, and that they were just hiding behind it rather than admitting to acts of plain old vandalism against a company they didn’t like, something which any self-respecting anarchist would likely be proud to admit (unlike most communists in the UK, anarchists tend to at least have the guts to take whatever they get when they break the law, seeing as they actually believe in their ideals and apply them consistently rather than just using them as an excuse for recreational violence against whatever group takes their fancy). “Ant-Zonism” can well be political and moral, but, in the present context, whilst it is only an attack on Jewish national self-determination, it can hardly be legitimate. Unless, of course, there is something unqique about Jewish national self-determination that separates it from all other demands for national autonomy; or something about the current State of Israel that it does not share with any other country in the world (other than the fact that it is a Jewish state). After all, one does not hear much talk, in fact, any talk, of a political and moral position against the existence (and not the politics) of any of the other 200 or so countries in the world, so, the question is, what makes it “legitimate” to talk only about being “anti” to Jewish claims and the Jewish state as a state per se? Needless to say, one can be against all forms of nationalism, but that rather begs the question of why “Zionism” and Israel somewhat. If Allan Siegel is such an expert in literary criticism, would he care to deconstruct Howard Jacobson’s corpus for us. I haven’t read as much of Jacobson’s work as I would like, but I would have thought that much literature is, as much as it is anything, allegorical. It also seeks to hold up a mirror to society, even if the mirror distorts for effect. Wackford Squeers, anyone? Mr Gradgrind, perchance? Or perhaps what Allan Siegel dislikes is that Jacobson’s latest creation and creatures are too close for comfort for him? Is Siegel saying that no Jew can be a victim since the state of Israel was established? It sounds like it. I don’t like the term myself (completely wrong to use with cancer or floods, for example) but when used appropriately anyone can be a victim regardless of religion or statehood or whether there’s an army containing mostly co-religionists somewhere on the planet. Allan Siegel threatens to become (if he is not already) like so many who post here in opposition to Zionism and/or Israel (or anything but _their_ take on Israel). He ignores those views he cannot respond to, fails to answer questions and other points put directly to him, and merely repeats the statements already made, sometimes rewordng them to make them appear new. I asked a direct question of him some 3 days ago. Instead of replying, he witters on, with no evidence, on the failure, in his view, of Zionists to resist the Nazis and other murderous antisemites in Eastern Europe. He is vigorously answered by a number of people, but merely repeats his assertions. Can we have some evidence from you (and a reasoned response on Jacobson’s apparent, according to you, literary failings), and if not, some blessed silence? But where were all the brave Zionists when it came to the Resistance and fighting Nazis? Buying their way to the Land of Milk and Honey? As well as showing the political and moral bankruptcy of both contemporary Bundism and of Jewish socialism, it is a great pity that those who identify with it at the present time are willing to draw on and perpetuate such inherently antisemitic myths so as to “score points” about “Zionists” and present-day Israel. Surely, the traditions of both the Bund and of Jewish Socialism deserve far better than this nonsense as a tribute to its own past, to its own historically consistent anti-Zionism and to the contemporary situation in the Middle East. The problem, however, may be not be specific to the “Jewish” left. After all, for various political and social reasons, the European left as a whole is going through a bad time. Whilst some sections of it are seriously trying to work out why and how things can be changed, both for itself and for the social world as a whole, other sections are simply evading the issue by reopening and organising around the latest variant of the Jewish Question (the question of finding a place for Jews to line in the world, and how they should live in the world). I always thought that one of the strengths of the left was to challenge myths and distortions in the name of emancipation, and not jump on the reactionsist bandwagon – even if it is the easiest and laziest option. It’s interesting that, as soon as a post by Howard Jacobson goes up about the common ignoramuses that frequent such anti-Zionist committees, one of them turns up to prove the point. And they are so proud and confident in their certain knowledge, which turns out so often to be half-baked, half-digested ballox. ” … Jacobson cunningly crafts sublime pathos from comedy and vice versa. As such, he is the literary equivalent of Tony Hancock … ” Eh?! There are better examples in the canon. @Bella@ Hanna Szenes was not deported to Auschwitz but shot in Budapest after a sham trial during the rule of the arrow cross. The ignorance of “antizionists” is mindboggling. In Vienna one little trotzkyte sect published a whole brochure against me. The leader of this sect wrote, that Kasztner is to blame that Hungarian Jews did not revolt like Jews did in Warsaw Ghetto and because the Red Army was near in fact several hundred kilometers away in May/June 1944 when with the help of the Horthyadministration the Hungarian Gendarmerie whipped more than half a million Jews – 80 persons in each – cattle truck. The ignoramus did not know, that Jewish men between 18 and 60 were at Munkaszolgálat (forced labout units of the ´Hungarian army) and had no access to arms. Members of Hashomer Hazair and other zionist youth movements did their level best to save Jews. But one has to remember that most Hungarian Jews were great believers in 1000 years Christian-Hungarian culture and did not have any sympathy for Zionism. As a matter of fact after the Hungarian soviet republic was over, Horthy’s free corps perpetrated terrible pogroms against Jews. The Alliance Israelite in Paris and the Board of Deputies in London suggested to Hungarian Jews to get the status of an ethnic minority and be protected by the league of nations. Hungarian Jews rejected this proposals believing that everything will return as it was during the liberal rule before the 1st WW. And there is another story which should make us think. After the annexation of Karpato-Ukraine, where ethnic Hungarians are a small minority the Hungarian govt applied to the Jews of the region, most of whom were Jiddish speakers and asked them during the poll to declare their native tongue as Hungarian. When after the occupation of Hungary by the Germans, the Hungarian administration collaborated with Eichmann, they decided to have this region as the first to deport the Jews to Auschwitz-Birkenau. While I was in London Wall Waterstones and they were trying to track down the book (turns out it was on the Books In The Media stand) a women came in and also requested it. Two copies was all they had. I was ready to fight the third woman, but there wasn’t one. It’s very good – funny, very disorientating indeed. The territory is familiar but I can’t see where the hell it’s going to go. No spoiler follows. I’m thirty-first on Bromley Library Service’s waiting list. Perhaps they only have two copies too? …to say nothing of the whole post-Holocaust reality as put so profoundly by Deutscher. Personally, I understand why Jews and Muslims get so worked up about Israel and Zionism (whether for or against). But why so many other people would get so furiously involved, why so many people would voluntarily make this their external conflict of choice: well, that’s another matter altogether. Allan, given your knowledge of history, particularly of the Holocaust: can you see a common denominator beginning with “J”? Failing that, can you at least see why many Jews fear a common denominator – and why crap remarks about milk and honey would only fuel those fears? You are an ignoramus. After 1941 only very few young Jews could emigrate to Palestine. There were in 1943 two goups from Budapest and one group from Bukarest. I lost my mother when I was 12 years old, and when I was 14 Hashomer Hazair sent me with the first group to Palestine. Hadj Amin el Husseini the leader who collaborated at the time with the nazis wrote letters to the governments of Hungary, Romania and Bulgaria not to let pass Jewish Youth through their countries. those members of Hashomer Hazair who remained in Hungary did their level best to save Jews. Read the book of the Historian of Hungarian Holocaust Randolph Braham “The Politics of Genocide” and you could find more about subject matter. Why do you write the untruth about Zionists? Is your ignorance or is it your ideology (or both) motivating you? At the moment it seems that the thread follows the pattern of, you make a statement which AS believes is an adequate rerpesentation of the truth. Others question that interpretation ideologically (Esterhouse) or empirically (Zykhara), and, after aresponse or two, which again is questioned (see Z’s points a – h for example) AS attempts to close the subject by implying that such responses are “muddled”. It seems to me that, as a matter of respect, intellectual or otherwise, before misrepresenting the comments and questioning of your views as “muddled”, it would be more appropriate either to answer Z’s comments or explain why his responses are “muddled”. All truth is ideology, but some ideologies are more truthful than others. Thanks for the links. Although what they are doing on a post about Jacobson’s new book is somewhat puzzling to me. It seems that far more important to what this post is about, is how many, and what types of Jews resisted the nazis. Perhaps you could let us know of your views about Lenin’s rejection of the Bund at the turn of the 20th century. This is what really counts today. You refer above to “the topic of Jewish resistance has been researched far better than I will be able to” you also mentioned that you have done some work on the subject yourself. Could I prevail on you to “reveal your sources” so to speak, as I am interested in this topic and would like some further reading. This would be of specific use since the works you are relying upon appear to escape the normal “ideological prisms” of current scholarship. dear absolute observer, what I mean by muddled is this statement by Zykhara: “Neither Bundists nor Zionist Jews were much able to join their ‘fellow’ national resistance forces, because they were 1) prisoners 2) obviously Jews.” It is muddled because it is contradictory and inaccurate. The resistance included Jews and non-Jews (who were obviously not prisoners otherwise how could they participate in the resistance?). So, the statement reveals little knowledge of the nature of what the resistance was (and in practical terms able to accomplish). dear Interested Reader, what little I know on this subject comes through interviewing child survivors. The adults I interviewed survived either because of one resistance group or another (as was mostly the case in France) or because of a combination of reasons (as was the case in Poland). In doing these interviews, and seeing my own ignorance of the subject, I began researching these issues further. I still feel very much uninformed but know enough (or think I do) to understand how the ‘historical record’ can be constructed and shaped by those with the power to do so. And so I come to the conclusion that most Jewish people have very little knowledge of the subject of Jewish resistance during pre-war and war years. In the United States it was hardly discussed until the 90’s. I think the situation is similar in many other countries. Not if one understands that, obviously, I meant Bundists and Zionists imprisoned or ghettoised by the Nazis, as most, obviously, were. But, obviously, far fewer Jews. I am beginning to suspect you are defining it as loosely as you find convenient. Very few of whom, I suspect, were active members of any resistance, and even fewer active members of resistance in Nazi occupied Europea outside the ghettoes. But that doesn’t mean they actively participated in resistance and what has that do with whether they were Bundist or Zionist or not? i..e you concede all or most of my points above. I suspect most people here know at least as much as you. i.e. you concede my points. Thank you. I am now truly confused. As I read it, Z was not saying that the resistance did not include Jews and non-Jews. He was questionising your thesis that Zionists were not part of the resistance and that they either fled to warmer climes (to the land of milk and honey”- a point that you raised at the top of the discussion leaving other Jews to their “fate” or that, from the figures he cited, that Zionists were not a leading force in the resistance within the Waraw Ghetto (that also included Bundists). He cited numbers, organisations and personalities to support his claim that, far from not being part of the resistance, they were in the majority. As to the specific point, (g) he argued that since most Jews were already incarcerated, or were the subject of “special attention”, it was difficult for Jews (as opposed to French, Italian, etc. (both Jewish and non-Jewish)) to organise both “as Jews”, or join other resistance organisations or obtains the means of resistance. These difficulties arose because of the situation in which they were placed (leaving aside the antisemitism of some, but by no means all, of the more nationalist resistance movements, at least in the East, where they had the added problem of a Communist resistance dominated by a then corrupt Party)) and, likewise, hard for non-assimilated Jews (in the Western sense) to connect with non-Jewish reistance. He did not say it was impossible (“were not much able”) but just difficult (as we know Primo Levi joined a group of Italian partisans, but, then again, he was also an assimilated Italian – a fact that did not help much in getting his work published after 1945). So, I found what he was saying quite clear and not muddled at all. Be that as it may; that was one point amongst many. In what way are the following “muddled”, “wrong” or “innacuate”. I ask since they go to the heart of your claims. So, what you are saying is that whilst you know little of the actual matter at hand – but enough to call others who appear to know “muddled” – you have come a long way to understanding the connection between “history” and “power”, which, if I understand you correctly is that, it is the powerful who write history. Well, you are not wrong there. Of course, the historical narrative is written by the “powerful”; that is a truism that is hardly questioned today. (One need only look at the new generation of Israeli scholars who have questioned the founding myths of Israel). It is true, of course, that “the Zionists” (whoever they are) have illuminated their role in the Holocaust at the expense of others. However, if one is serious about speaking “truth to power” one needs to know of what one speaks. From what I have read of your own views, your view of the past relies upon merely replacing the “powerful” with the “powerless” and vice-versa (i.e. that contrary to what you think the Zionists think, you think it was the Bundists who were the active, strong resisters and the Zionists the rats who left the sinking ship or the sheep who went passively to their slaughter, or worse). What you fail to recognise – and here is the unfortunate fact – the powerless can get it wrong just as much as the powerful. In other words, your view of the past remains as trapped within an ideology as those you think you are opposing. Not only do those murdered in such circumstances deserve better, so too does history. For all his “muddled” thinking, Z appears aware of both Bundist and Zionist resistance as well the the almost impossible dilemmas and difficulties Jews and non-Jews found themselves in when having to confront Nazism. To my mind, Z’s comments is doing right by both those murdered and to history, and is far more of value than the (self-admitted) ill-informed thoughts of someone sitting at their computer in the comparative safety of 2010 and passing judgements upon the past and those who inhabited it; judgements that are premised not upon any substantive knowledge of “historical record” but driven by one’s contemporary ideological positions and commitements; the very offence of which you accuse others. Dear Absolute Observer, to characterise Zionists a leading element in the Ghetto resistance is not accurate; did they participate in the resistance? Yes! (and, I apologize for my glib remark about the ‘land of milk and honey’) But the Bund was organizing against Nazism before there was a Warsaw Ghetto just as Zionists were organizing for people to immigrate to Palestine before the Ghetto. The Bund was connected to the Polish-Government-in Exile (an imperfect body to say the least) which organised the exposure (which was ignored) of the death camps and also resistance in other parts of Poland. These are common facts. than simply a Jewish issue. “d) you have this fantasy that Zionist Jews trapped in Europe were trying to smuggle weapons to Palestine. The Bundists refused to join the ZOB because they trusted the Armia Krajowa to supply weapons. They did. A few revolvers. That’s it. When they realised they were on their own, then they joined the Zionists. Elements of these statements are true but overall they are accurate for the simple reason that this presents a very simplistic a historical picture of the forces involved in the resistance and its leadership. Any basic reading of the resistance, Zegota, Polish Home Army, Polish communists shows something far more complex or nuanced. “f) now Quakers and French Protestants are Jews, are they?” What a foolish statement! In France Quakers (organized from the U.S.) and French Protestants were directly involved in rescuing Jewish children and aiding covertly the resistance. Now you had to be Jewish in order to rescue Jews? In what way? Militarily? Evacuating Jews? From Poland? When? Where? How? European Bundists were caught up in Europe as Zionists were. You mean Zionists were evacuating people from Europe, but Bundists weren’t? So what? The Zionist led Jewish national committee was linked to Zegoda too. The Armia Krajowa didn’t supply the Bund with the common sense and morality to join with the Zionists in the ZOB before most Warsaw Jews were deported! How does saying rescue was more than Bundist or Zionist make doubtful my assertion that Zionist rescue from Europe was arguably more successful than Bundist? What does this even mean? That the Zionists sinned because they didn’t help non-Jews more than they helped Jews? The Bundists were a great help to the Armia Krajowa, weren’t they? i.e. you mean ALL ELEMENTS are true. By simplistic you mean true in all its elements, but omitting other elements? OK, which other elements? Which in the Warsaw Ghetto was Zionist. In what way? That the Bundists fought with the Armia Krajowa? When? Where? And since when did Polish communists = Polish communist Jews, let alone Polish Bundists? You’re mixing and matching as suits. You’re the one who was saying it was black and white, that Bundist resistance or rescue far outshone Zionist. That the two were as different as good from evil. Hitherto you have adduced nothing to refute the elements of my narrative, that Zionists comprised both leadership and most fighting units of the ZOB, are true in toto; that the Zionist led Jewish national committee was the largest Jewish support group in liaison with Zegoda. It was an especial virtue of the Bundists that they had better contacts with the Armia Krajowa? They would have done better to have the moral and tactical sense to join the Zionists in the ZOB than hold out for help which never came, as the bulk of Warsaw Jews were deported to the camps. The Bundists, as tragically loyal Poles, needed Polish government permission to resist. The Zionists needed none. So what? What has this to do with the agency of Jews, Bundist or Zionist? These are gentile Christians helping Jews. Not Jews helping Jews. Not Jews resisting. No. But you need to be Jewish to be a Jew rescuing Jews, or a Jew resisting. Well, apart from Israel of course where it was a herated topic in the 1950’s. @Allan Siegel@, a lot of research was done on subject matter. I remember decades ago to have read about the Group Manouchian which started in France in 1941 communist resistance against occupation. The communist made believe until the German attack against the URSS, that the war is an imperialist one. The Group led by the armenian communist Manouchian consisted mainly of Jews. The French Communist Party after 1945 did not mention this fact, it would have contradicted their “national” line. And please speak for yourself A. Siegel and not for most Jewish people. Your nasty remark about Zionist leaving for Palestine is when confronted with History defamation. Antizionists have criticised the fact, that in Israel and the Jewish World a lot of films were made about the Heroism of Jewish resistance, and that other sides of History were neglected. I know that the comments have moved a long way away from discussing Jacobson’s book, but Allan Siegel appears to prefer to debate the alleged roles of Bundists v Zionists in the Holocaust and/or rescue and resistance than to respond to direct questions concerning his qualifications as a literary critic. He was, after all, rather rude about “some writers” in general and Howard Jacobson in particular. Instead of shifting the ground, perhaps he might like to respond to this question? Someone here asked for such readings, but none were forthcoming. And, returning to the issue of “muddled”, what the heck does this mean? So the statements are true, but simplistic; so, in fact, the truth of these statements is more complex than the truth? Now I do realise that nothing in history is simple that things are more grey on grey than black and white. So, the question is, how do the complexities referred to, but not provided, alter the statements that you say are true. Or, are you saying that the truth of these statements, which you see as true, are true for any number of reasons which, may well account for the truth, do not put the truth of the assertion into question. For example, we all know that the SS took command of the camps from the SA. That is the truth. There were specific reasons why this happened, but does not change the truth of the assertion. So, was Endelman the leader of the resistance or was he not? Did, “the Bundists refuse to join the ZOB because they trusted the Armia Krajowa to supply weapons” or not? Were they supplied “a few revolvers.” or not? Did they, “when they realised they were on their own, then they joined the Zionists”? I only ask because you seem to be quite dogmatic at what the Zionists did or not do, but far more nuanced when it comes to the Bundists; far more black and white than grey on grey, shall we say. I guess the Owl of Minerva has something in one of its eyes at the moment. @Brian@ I do not believe that Alan Siegel wants to discuss the merits of this book. He wanted to show that Zionists were not participating in the resistance. When asked questions he does not answer. Fact is everywhere in German occupied Europe Zionists participated in resistance. The antizionists accused Israel to have emphasized this resistance and neglected the other side of the coin. A.S. told us exactly the opposite. It looks as if he is writing about things he does not (want to) know. Karl, I know that allan siegel has no wish to discuss anything approaching the intellectual. It might expose him to a _real_ debate, in which facts and evidence (and not unverifiable assertion) would be in play. That’s why he made such a general statement and then veered away from the topic when actually called on it. It’s much easier to chat on about the Bund and Zionists, when it is difficult to pin someone down when they don’t actually have to refer to actual documents and other evidence. It’s an anti-Zionist tactic, because facts are fatal to the cause of anti-Zonism. The other issues arose based on various postings, including my own, about Zionism, the Bund and Jewish resistance. I do see these issues as related but feel in an inadequate position to defend or corroborate my opinions for the simple reason that I am removed from the resources that would allow me to document them fully. So, statements come from a diverse collection of readings, from Raul Hillberg to Nechama Tec to Lucy Davidowicz (among many others) to oral histories (at Jewish Archives) in New York and London as well as direct interviews with survivors. As I said before, I am not an historian, but have read enough history no know what it means to make muddled assertions (something I dare say that I myself can be guilty of). Thus, a muddled sense of history is simply a superficial gloss on events, without proper research and based on pre-conceived ideas or opinions. Regarding Jewish resistance: this is a highly contentious subject and not without good reason. For various political reasons the historical record is highly clouded and full of distortions. For myself, what is most important is the fact that Jewish resistance took place – depending on the circumstances it was either a basically self-contained or in co-ordination with other non-Jewish organizations. The distortions surrounding these events and activities (and in some case their suppression) with by Soviet era ideologues or Zionists is something that is disturbing and upsetting. It is within this context, if I am permitted a leap here, that I raised my initial question because for me it has something to do with how people (both Jews and non-Jews) perceive anti-Semitism and how Jews relate to the State of Israel and one’s identity. @Allan Siegel@ So in your opinion Soviet era ideologues or Zionist are the same as distortions are concerned. While Soviet era ideologues were blatantly antisemitic even if they called themselves “antizionist”, there is such a broad spectrum of Zionism, that by essentialising it, you distort reality. I have been educated in a left-socialist kibbutz and the lessons we heard about Jewish history were extremely interesting and according to the last results of historiography. And we learned from lectures in the kibbutz also on Jewish mostly zionist resistance, for instance Aba Kovner the leader of a Jewish partisan group originating from Litvania who told us about the fact, that some Russian partisans were taking away from Jewish partisans their weapons. Now Brian is absolutely right. If you only want to tell us Zionists did only care about reaching the land of Israel, if you only want to imply that Zionists were not involved in resistance to the Nazis and if you tell us that Soviet era ideologues and Zionist are the same you just want to give us your mantra. And Allan I have shown, that as someone who is antizionist or postzionist you say exactly the opposite of what antizionists and postzionists usually claim, that Israel and the Zionists made a hero cult of resistants, according to your opinion Allan, Zionists did almost not participate in that resistance and the Zionists are not interested in that History and most Jews do not know about it. Yes, Karl what I am saying is indeed that most Jews know little about the resistance; perhaps you should visit the museums of the resistance in Amsterdam or Lyon to get a fuller picture. There was a broad spectrum of Soviet as well as Zionist ideologies; are all Zionists racists? No! Are some? Yes! Were some Soviet Communists antisemitic, of course. Seems you are the one doing the essentialising here Karl. Zionists in France were taking weapons intended for the French Resistance and sending them to Palestine – does that mean all were, no? All I am saying, in a nutshell, is that the Zionist portrait of the resistance is not accurate, incomplete, and in many instances self-serving. Zionist historians themselves have admitted this. Allan. Are you aware that the person you are talking to in such a patronising manner, Karl Pfeifer, was a member of the resistance in Nazi occupied Europe, was then a member of the resistance to British imperialism in Palestine and is now a highly respected antiracist activist and educator in Austria? Of course that doesn’t mean he necessarily knows anything better than you do. But I would think a little respect is due. It seems to me that over the last week or so you have mistaken a number of serious people here at Engage for idiots. It hasn’t made you look very serious yourself. Further, I think your analogy between Zionism and Soviet Communism isn’t one that works well. Zionism is a form of nationalism, much like other nationalisms. It follows that it certainly has racist potentialities, and it also has anti-racist potentialities. Zionism was indeed born as a response to anti-Jewish racism. Many nationalisms were born as responses to racism. It also follows that to designate Zionism as racism is inappropriate because it singles out Jewish nationalism as being uniquely evil amongst all nationalisms. Soviet Communism, on the other hand, was a huge totalitarian movement, responsible for the deaths of many many millions of people. And it was certainly antisemitic, and deadly, as a movement. This is independent of whether this or that Soviet Communist happened to harbour bad feelings about Jews. The regime made antisemitic propaganda and there is evidence that it was planning a huge round up of Jews, before the death of Stalin, for an Eastwards deportation, at the time of the doctors trial. @T. Esterhase@, I am sorry, but when I left in 1943 Hungary I was just 14 years old and could not participate in zionist resistance. However members of Hashomer Hazair did their level best to help Polish and Slovakian Jews to get in to Hungary, which was until the German occupation on March 19, 1944 safe. And they did their level best to save Hungarian Jews. Hashomer Hazair in Budapest forged documents and the late communist leader Kádár was supplied also with such a forged document. T. EsterhaseThank you for your long detailed good answer. @Allan Siegel@ probably I overlooked something, but could you kindly give me the source of your statement about Zionist who took arms to Palestine. Was it the right wing EZEL of Begin? was it the Hagana? was it the Stern gang? It is nice of you to give advise which museum I should look up. I have been to the museum in Amsterdam this spring and I like to inform you, that I am since many years curator of the Austrian Resistance documentation Centre and have published on subject matter many articles. Now when you name Zionist in one go with this bunch you seem to be blind for very big differences. There was no broad spectrum of Soviet ideologies at the time of antisemitic persecution of Jews. But there was always a broad spectrum of Zionist ideologies. Not wanting to see this difference is either a sign for being dogmatic or for lack of intelligence. You say “Zionist portrait of the resistance is not accurate, incomplete, and in many instances self-serving.” please give us some evidence for this statement. Tell us which Zionist portrait you mean for there are many Zionist portraits. I recommend you read for instance the wonderful biography of Aba Kovner written by Dina Porat, which was published recently in English. As Brian told you, you should not give us your mantra about ideologies. Give us the facts and the evidence for your statements if you can. If you cannot then please shup up. Of course Zionists (whatever that means) have a different reading of history (including the Holocaust) than Bundists as do Communists. And, of course Israel will emphasise “Zionist” readings. Whooopedoda. If that is the only point you are making, it is banal. Currently in Israel a group of historians are questioning that narrative. And, good for them. It is extremely healthy for any democracy. However, you are saying more than that, aren’t you. You are saying that Zionists cared more about getting Jews out to Palestine than fighting against the Nazis. You are saying that in so doing Zionists had it easy compared to other Jews during the Holocaust. You are saying that Zionists betrayed non-Jewish populations by seeking to save Jews in Europe. Moreover, your concept of “resistance” is faulty in the context of the attempted extermination of the Jews. You speak of resistance and emigration as if they were two different things. In the context of the Holocaust, of the mass extermination of every “Jew” the mere act of survival was “resistance” whether in Europe, Palestine, the USA, the UK, Shanghai, Durban, Sydney, anywhere. As I said earlier, only someone with no empathy, with driven by such ideological fervour, could even think of writing in such cold judgemental terms. You want to challenge the “official” Israeli narrative, then fine. That is what historians do, or should do. But, if you are serious about so doing, then at least have some idea of the context in which decisions, whether for good or bad, were made. Extraordinarily, if I understand your final question, it is rather muddled, all this has to do with anti-semitism and one’s “identity”. Or, if I read that last question in another way, then you are arguing that Zionism has something to do with how Jews self-identify and how Jew’s and non-Jew’s “perceive” antisemitism. So, we go back to the Israel/antisemitism question. I would not be surprised to recieve the response that tells us all that “Zionism” and “Israel” is the driving factor in contemporary antisemitism. Apologies, if I Jena-flected too much. If you do, then, I am afraid you know as little about antisemitism as you appear to know about (other than assume or ideologically perceive) Jewish resistance. And, on the subject of banality, the idea that Soviet ideology and Zionism is comparable in any serious way is absurd. Well, absurd, that is, for anyone who thinks that the content of an ideology is important. After all, for all good thinkers such as yourself, either all is ideology (in which case there is no difference between Soviet ideology, Maoist USA ideology, Zionist ideology, free-market ideology and so on and so forth)’ or, alternatively, that everyone else is caught in ideology (“false consciousness”) other than yourself. If the latter is the case, one needs to reflect the crimes committed under the name of Truth, rather than the difficulty that comes with grasping at something that is true, with all the equivocalities and uncertainties that come with it. I thought I was making a mildly humorous comment about owl/minerva, not something deeper. What else have I said that leads to these comments? I responded to this in the following way……………. The discussion moved on to Zionsts running off the land of milk and honey. Dear Karl, (and T.Esterhase) I am very sorry if my tone was patronising or iinsulting; it was not my intention. What I said was this, “There was a broad spectrum of Soviet as well as Zionist ideologies; are all Zionists racists? No! Are some? Yes! Were some Soviet Communists antisemitic, of course.” I never said that all Zionists are racists but some quite definitely are; the way some Israelis talk about Arabs (a not insignificant number by the way – most settlers) reminds me most clearly of Southern whites talking about African Americans. I am neither a worshiper or fan of Joe Stalin or Soviet Communism but the fact is that more Russians died fighting Hitler than any other nationality in Europe. Does this exonerate or excuse them from other crimes or atrocities, no. Esterhase, the picture you paint of the Soviet Union is very one dimensional. Finally, most 20th century nationalisms were anti-colonial in nature (these movements were by definition anti-racist). One should read the works of Albert Memmi (a Tunisian Jew who influenced the work of Frantz Fanon) to understand these dynamics. No one should doubt that Zionism was response to European antisemitism but also it was a colonial movement as well. I read the text you are quoting here which continues, …the widening rift between Memmi and his erstwhile leftist and thirdworldist comrades. The rift has now become a chasm. In Decolonization and the Decolonized, Memmi distances himself not only from his radical fellow travelers, but also from his earlier self. Described as a continuation of The Colonizer and the Colonized, his new book in fact reassesses his views on national and ethnic liberation movements and judges them harshly.” It would seem that Memmi’s overall views are a bit more complex than those stated in this book or your quote – for Memmi himself has not disavowed his earlier work which I consider just as relevant to this discussion. b) if it wasn’t, clearly you have misunderstood him. d) assuming the reviewer correctly understands Memmi’s position i.e. that Memmi’s position has changed. Further, your refuge in “complexity” is a far cry from your tirade against the Manichaean villain of “Zionism” with which you graced this site to begin with. Now he says that ” I am not a literary critic and I am not interested in commenting on Howard Jacobson’s book for it is not the book itself that motivated to post my thoughts…” If this is so, then he should apologise to Jacobson and to all the other writers of fiction he sought to include in his original comment, for he has insulted them by attacking their efforts and then refusing to explain why he did so. Actually, I suspect that he wishes to avoid entering into an area in which real intellectual skill and ability is required, and not access to either non-existent or unobtainable historical documents. In his repeated returns to this comments thread, he seeks to pit the Bundists (and his view of them as the _real_ heart of Jewish resistance and rescue during the Shoah) against the Zionists, who he claims (actually, who he continually _asserts_) failed to resist or rescue anything like as effectively as the Bundists. No documents are cited, few individuals (who might be researched) mentioned by him, and he appears to ignore all the evidence and individuals cited by others. He prefers, it would appear, to keep asserting that which cannot be demonstrated, let alone proven. A common pattern among certain types who appear here every now and then. However, as already noted, should anyone present an area of intellectaul endeavour which demands intellectual ability and skill, rather than access to (possibly non-existent or difficult to obtain) documents, other than the volumes being debated, and the silence is deafening. So, I don’t expect a response to the direct question, let alone any attempt at an answer, just continued evasion, and a retreat to anti-Zionism. This would be a repeat of the common pattern by the “certain types” referred to above. I had intended to leave the response to allan siegel’s continued anti-Zionism to the others who are doing a fine job, but the following comment is just plain silly: “perhaps you should visit the museums of the resistance in Amsterdam or Lyon to get a fuller picture.” (This is directed to Karl Pfeifer, of all people!) And your point is, allan siegel? I’ve visited the Jean Moulin/Resistance Museum in Bourdeaux: will that do? Given that the vast majority of Jews who were murdered by the Nazis and their willing collaborators were in Eastern Europe and Russia, this is worse than silly: it is insulting. It also insults the memory of those who fought and died (or were lucky enough to survive) in ghetto uprising, death camp insurrections and resistance groups in Eastern Europe. If you can’t manage an apology for your crassness, then a dignified silence would be appropriate. Howver, I don’t expect either. That, too, is a common pattern among certain types. Aggressive response very much intended. Those who falsified history and denied Zionist participation were the Polish communists. I remember having visited in 1964 Auschwitz, I have not seen in the museum the word Jew or Jewish. And I had to ask my way to Auschwitz-Birkenau. I remember how angry I was when at the museum I was told in an exhibition on Austrian in Auschwitz only about communists and socialists who were the victims, the fact, that most of them were sent to Auschwitz because they were Jews was not mentioned. Again you make sweeping statements about Books and films about the uprising in Warsaw instead of giving us facts. I have heard in 1945 or 1946 a lecture about the uprising in Warsaw in 1943 and I remember the Bund and Jewish communists were mentioned as particípants. Also as a matter of fact that Polish communists supplied a few pistols. I cannot check now the book of Lustiger, but next Tuesday I’ll be in Vienna and check. Zionism was never a colonial enterprise. For colonialist do as a rule not invest their money in a land without raw material. In the land of Israel there is none (except the Dead Sea). Colonialist export the profit, in the case of the Land of Israel a lot of capital was invested and no profit taken out. Also as a rule colonialist exploit loca cheap labour. This did not happen, since Zionists created their own working class and also their own agriculture. All this was not there before 1948. And I could go on. Let us remember the anti-Jewish pogroms in Poland, Slovakia and Hungary after 1945, some of them instigated by communist. Richard Crossman, labour MP was member of the >Anglo-American Committee of Enquiry regarding the problems of European Jewry and PalestinePalestine MissionThey had smelt the unique and unforgettable smell of huddled, homeless humanity. They had seen and heard for themselves what it means to be the isolated survivor of a family deported to a German concentration camp or slave labour. The abstract arguments about Zionism and the Jewish state seemed curiously remote after this experience of human degradation.Policies which seemed sane enough in the White House or in Downing Street struck these wretched people as sadistic brutality. Measures which made sense to them appeared to busy British and American politicians downright unreasonable. Mr. Bevin, in his famous Press conference, when he announced the formation of the Anglo-American Committee, had jocularly remarked that the Jew should not push to the head of the queue. That might go down in Britain; in Belsen it sounded like the mouthing of a sadistic anti-Semite. Two of us had seen a Polish Jew tear up the document which promised him emigration to America, saying that he could never trust a Christian again; he would not go to America because what happened in Germany might happen there. In Washington that must sound like the raving of a lunatic: in a Bavarian Assembly Centre where the huddled survivors were still cooped up behind barbed wire nine months after the day of liberation, it was the considered view of many sober and intelligent Jews.What had we actually discovered ? First, that there were about 98,000 men, women and children in the Assembly Centres in Germany and Austria. […]When they talked, as they did, of inhuman treatment, they meant simply the inhumanity of keeping them where they were, in the country of the people who had murdered 6,000,000 of their kinsmen. When they refused to work or left their quarters in a filthy state, or even smashed the whole camp to pieces—as one group had done in Austria—it was always for the same reason. They were afraid—neurotically afraid—of being kept where they were. To tidy the room, to put curtains in the windows or to work would be an act of submission to the intolerable present by men whose only life was a dream of the future. This they refused to do. A pathetic but obstinate determination to survive made them assert that each day in Germany must be lived as though it were the last day, when food is eaten hurriedly, when bags are packed ready for the journey out of the Land of Egypt and into the Promised Land. […]These 98,000 people, most of them Polish Jews, had been deported to a foreign country whose language most of them could not speak. They had been rescued by our armies from the gas chambers. If the war had gone on a few weeks or even a few days longer, none of them would have been alive. Nearly all of them were the isolated survivors of families which had been wiped out. A large number, when the war ended, had walked hundreds of miles back to their home towns to find themselves the sole survivors of the Jewish community, living ghosts returned from the grave to reclaim property which had long since been shared out. So they had trudged back to the camps. At the time antiZionists were silent. They had no solution for such problems. Now they want to go back to status quo ante. But why do they not start to employ this in Iraq, where just now before our eyes, Christians who are born Iraqis are murdered and forced to leave the country of their birth. Look how the UK government is treating those Iraqis who helped the British Army and then you can imagine, what would happen with the Jews of Israel,if Hamas and Hezbollah had their way. So my question Allan Siegel, why are you so keen us to prove that Zionism was wrong from the beginning? Zionists are particularists who betrayed the universal struggle against fascism. “Finally, most 20th century nationalisms were anti-colonial in nature (these movements were by definition anti-racist)……. No one should doubt that Zionism was response to European antisemitism but also it was a colonial movement as well. And all this from someone claiming not to be a “worshipper” or “fan” of Soviet Communism. Because to Ben Gurion, the only place Jews could have long term survival was Palestine. It may have been mistaken. But he believed the infection of anti-Semitism would also, in time, reach the British Isles. And, to be fair to B.G., from the perspective of someone living in the UK in the early 21st century, he has a point. Anti-Semitism has arrived in the UK, big time. It is primarily directed at the Jewish community composed of the refugees and survivors from Old World Christendom and Islam, post-1914, but it is directed at the descendants of most of those Jews against whom the original anti-Semitism was directed. Already, if BDSers can’t hurt Israelis, or those directly helping Israelis, they will attack, for instance, a factory that is only tangentially associated with Israel e.g. EDO MBM in Brighton. And be acquitted. If the BDS movement fails in its goal to dissolve the Jewish state, and end Zionism, will it admit it was wrong, or retreat into serious self-reflection? I doubt it. Still less if there is a peace settlement which leaves the Jewish state of Israel intact. They will vent their anger and frustration on targets closer to home. And that is how it begins, and that is how B.G. is proven correct. Allan Siegel a most selective history. Nothing new you brint to our attention. Yechiam Weitz published a long and detailed article where light is shed on your accusations against Zionism. Israeli Historiography’s Treatment of the Yishuv and Zionist Movement Attitudes toward the Holocaust. one would be in a position to to “arriv[e] at conclusions”. “Conclusions”? – that says it all really. What a silly retort Absolute Observer; one needn’t bother reading three sources if one already had a preconceived conclusion; I mean three sources or more from different viewpoints (since this needs to spelled out). One could make a rather long list of historians (serious historians) who have voiced very different points of view regarding the issues voiced here – so I not voicing anything particularly groundbreaking. But the degree of either willful ignorance (Karl excepted) or lack of investigation seems quite surprising to me. Is it really surprising (or shocking) to think of Zionism as an ideology with a particular view of Israeli and Middle East History? One need go only to the website of the Israeli Foreign Ministry to get a sense of the ideology (a word freely used on the website) and the manner in which history is constructed. Look Allan Siegel, I do think that you are quoting Ben Gurion out of context. The question is, what alternatives had the Jewish Yishuv in Palestine at the time. After all when the British empire issued the White Book in 1939 Jews who wanted to come to Palestine could not come and the British imperialists are coresponsible for their death. The Yishuv was powerless, it could demonstrate and it did demonstrate, but the White Book remained. But the Yishuv sent money to Dr. Rieger in Geneva and sent emissaries to Istanbul to save Jews. When at the end of WW 2 Hundred thousands of Jews could not return to their countries or would not return, for they have experienced what kiind of neighbours they had, the British White Book was still there. No other country opened its doors and as I have shown (with a quote from Richard Crossman) those Jews wanted to go to Palestine. Was everything perfect in Israel? Far from it. You have demonstrated in your postings to have preconceived ideas about the Zionist movement during the Second WW. You accused Zionists to have fled the fight and we gave evidence, that this is not true. True again, but you have a “preconceived conclusion”, don’t you? Nothing anyone has said to you has challenged your belief in this nonense. As the thread shows, you simply change the subject when confronted with sources that challenge your take on it. The irony here is that whilst you imply that all who point out your numerous erros of remaining imprisoned within a “Zionist” ideology, you don’t for a moment reflect on your own idology; one, I would argue, that is responsible for the strict dualism of your thinking with Zionism as inherently wrong (or worse) and Bundism as inherently right. I do find it amusing, though, that you write as if you think that you have something new or serious to say about Israel and Zionism, when, as I pointed out, you are merely regurgitating an ideological position that has been around for the past thirty or so years. By the way, do people still talk of history being “constructed”? How sweet. As I noted above, “What you fail to recognise – and here is the unfortunate fact – the powerless can get it wrong just as much as the powerful.” But you are too much of a romantic to even consider that possibility. So. you are accusing Zkahyra of “wilful ignorance” or “lack of investigation.?? And this from a person who “arrives at a conclusion” after consulting three! sources, cites wikepedia and the Israeli embassy’s website as authority. I’m beginning to think that Allan Seigel is nothing but a wind up; more Alan Speil (play) than Allan Seigel. Some of Allan’s ideology-free views on Israel. Looks like he did read the 3 sources I mentioned above!! And particularly worrying is that he formed his “conclusions” without any “preconceived ideas”. I guess it all made so perfect sense to him, that he could not “conclude” in any other way. As I thought, Allan is just another troll passing off as a serious commentator of Israel. It’s funny, but I was thinking just before I came across this garbage how much conspiracy theorists’ belief rests on the idea that all history is nothing but a construct in the hands of the powerful and that only they have the Truth. And, then I came across this. If you honestly believe that this was Ben Gurion’s view during the war (and before, when the Jewish Agency became, if anything, even more aware of the Nazi’s plans for Europe’s Jews than the rest of the world), then you need to get out more and read much more widely. And a lot less selectively. If you read only those authors with whom you know you agree, then it is hardly surprising that you are unable to engage (no pun intended) with those presenting alternative views to what appear to be your ever-more blinkered and deeply ideological attitudes. You could do worse than start with Prof. Dina Porat (Tel Aviv University Dept of Jewish History and Director of the Stephen Roth Institute for the Study of Antisemitism), “Isreali Society, the Holocaust and its Survivors” (2008) – a book of essays with many of them specifically on the topic of Ben Gurion, the Jewish Agency and its activities with regard to the plight of Europe’s Jews. These essays, with their scrupulous scholarship, present a picture _very_ different from the one you are trying to “sell” us. Indeed, Porat shows that that the Jewish Agency and its leadership were very much aware of the threat the Nazis presented to Europe’s Jews and they did all they could, which they knew very well was pitifully inadequate, to rescue Jews. That Ben Gurion did not involve himself on a daily basis meant only that, as the head of the Jewish Agency, he could and did delegate many tasks to others. But I suppose that this aspect of complex organisations would never occur to allan siegel, because it might undermine a cherished notion of his: the indifference of Ben Gurion to the fate of European Jewry. I look forward to another failure to respond by mr siegel. Brian, you pointed out the problem of Allan Siegel. He – so it seems – is not reading books or articles which contradict his antizionist or postzionist ideas. I recommend also Dina Porat’s book on Abba Kovner, (I own the Hebrew book) it was published also in English. If Allan Siegel would read it, he could learn a lot about Jewish resistance against the nazis. I wonder if Allan Siegel is capable to read such books and chage some of his preconceived ideas. My grandfather was a leading Bundist in his Polish town. I am certain that before WWII he was strongly anti-Zionist. When he died in 1979 in Montreal, he was buried with a red flag over his coffin. However, post-WWII, like virtually all Bundists, he strongly supported Israel, essentially becoming a Zionist (as defined by Israel’s enemies, anyway). The simple fact is that while anti-Zionism was prevalent among eastern Euro Jews PRIOR to WWII, it became a fringe movement among ALL Jews, including Bundists, following WWII. Hitler proved to the Jews that the Zionist analysis was correct. Siegel can say whatever he wants but he can’t change those basic historical facts. With good reason. Your opinions are not based on fact and do not even warrant serious scrutiny. They are without merit. I have encountered the claims you make about Ben Gurion before. Research does not consist of reading those few who support your position and ignoring the many many more who do not. Clearly, these days anybody can make a claim about anything, no matter how absurd, and make it sound plausible. Most sensible people realize, however, that that doesn’t make it so. Apparently, you don’t. @vildechaye@ people like Allan Siegel are picking out of context some quotes to show how bad Zionism was. Here Allan Siegel shows his deep contempt for the Jewish people. And yes Israel came along to make out of Jews subjects of history. So Israeli Jews are not anymore subjects of history. Reason enough to take a stand against Israel for Siegel. Siegel can not give us any facts to substantiate his claim. I will not repeat what I have written about subject matter but just draw his attention to the fact that about 30.000 Palestine Jews volunteered to fight with the British army. Zegota the cover name for Rada Pomocy Zydom (Council for the Help for Jews) was an organization of democratic catholics and t w o Jewish organisations collaborated with it “Zyidowski Komitet Narodowy (Jewish National Committee) represented by Adolf Abraham Berman, the second was the BUND represented by Leon Feiner. As a matter of fact, most Anti-Zionists complain, how Zionists emphasized the role of Jewish resistance. It is also fact, that the Jewish resistance is one of those subject matters well researched and there are many publications about it. What stupid remark. Had British imperialism not issued the White Book in 1939 Many Jews could have been saved. Siegel of course does not blame Imperialism of his own country but the Zionists. Fact any European Jew who went to Palestine and listened to the Zionists was saved. Most European Jews who listened to the Anti-Zionists perished. Isaac Deutscher admitted this. Siegel does not. German and Austrian resistance did usually not have Jews as members, for Jews could not be like fish in the water. An example: Austrian communists in France recruited a Jewish woman for activity in her home town Linz and she volunteered as a French foreign worker to go to Linz. She was seen by a former school mate and sent to Auschwitz. So again Siegel is writing about a subject matter he has no clue about. In some countries participation of Jews in resistance was not wanted, because it would have put the resistance to additional danger. After the German occupation and when Deportation started nobody could organise people to immigrate to Palestine. It is absolutely not relevant who was starting organising resistance in Warsaw ghetto and only an ignoramus could say that Zionists were just following Bundists. Zionists, Bundist and Jewish communists fought together and visiting Yad Vashem or the museum of Lochamei Hagetaot in Israel could be very useful for Siegel, to show him, that historical facts are correctly shown there. I am waiting for Siegel to give us the facts about that. Who were the Zionists who did this and when? To single out Israel and Zionism for all kind of accusations has nothing to do with moral. It is a political position in favour of Islamists and Palestinian nationalists. There where “useful idiots” who hated their own system and hoped that Stalin’s is much better, who went to the URSS and came back with a lot of fairy tales believed by many mainly leftwing British intellectuals. Looks to me, that those left-liberal British Israel-bashers and those anti-Zionists “as Jews” have not learned from history and are repeating the mistakes of older generations. Dear Vildechaye, as a matter of fact my grandfather was a Bundist also and my family was still anti-Zionist after the war. My father was a member of B’nai B’rith and gave lectures for the ADL until he got fed-up with their hypocrisy. Regarding the statement, “while anti-Zionism was prevalent among eastern Euro Jews PRIOR to WWII, it became a fringe movement among ALL Jews, including Bundists, following WWII.” This is a broad all-encompassing assertion. What is it based on? However, what you say in the following post, “Clearly, these days anybody can make a claim about anything, no matter how absurd, and make it sound plausible.” Well, I agree with this entirely – Too often cheap fiction is dressed up as fancy facts. To single out Israel and Zionism for all kind of accusations has nothing to do with moral. It is a political position in favour of Islamists and Palestinian nationalists.” How quickly you omit the moral from this discussion? I suppose than that the British White Paper was simply political also or the fact that the Americans turned away the St. Louis was simply political also. Is Zionist nationalism simply a political position without a moral dimension? You seem to have a skewed sense of logic here. I note the silence of Allan on the content of his own webpage. Btw, good to see the cartoonist Latuff on your site as welll not to mention the Masonic eye over the falg of the US! conspiracy theories so hard. No doubt he will expain it all. Siegel, you are free to qualify your “anti-Zionist” activity as “moral”. Now reading what Absolute Observer has written on you and your Website you will deny it or shut up and be disqualified as an immoral creep. sorry you must have me confused with someone else because there are no Latuff cartoons on my website (what is the address of the site you are referring to? ); as in much of of A.O.’s comments they are inaccurate, misleading and as in the last post just simple rubbish. and Dear Karl, before you jump so gleefully on A.O.’s bandwagon maybe it is good to check the veracity of his attributions… which are quite misleading. “you will deny it”. So I expect A.O. to bring the evidence or apologise. about that? Have you ever raised your voice about that? Your site or not? Yes or no? The quote from an essay above is also reproduced on the site. Whether it is or is not, I refer to my previous comment. sorry, A.O. why you think I have I have anything to do with this website is beyond me; I don’t post anything on this site nor have I ever quoted anything from it. For someone so concerned with facts this is rather shoddy. Of course I protest against antisemitism and other forms of racism like the anti-Roma violence (in which people are being murdered). Allan Siegel, can you indicate where have you in Hungary protested about antisemitism? Have you ever written about that subject matter? Or produced a documentary? Or do you wait with your protest until also some Jews are killed in Hungary? Again, I refer to my previous comment. Mind you, taking what you have said so far, one can easily see how such a mistake can happen. With that cleared up, maybe Allan will now return to his pattern of statement, claims that he hadn’t read all three books, and change of subject. It’s been a while, can anyone tell me precisely what it is we’re discussing? We have moved from how the Zionists had it easy in the Holocaust, to some silly Stalinist nonsense about resistance in WWII and how Israel is a racist colonial state, to some ramblings about politics, morality and Israel. The only theme I can detect under all this verbage and rhetoric, is that , from Allan Siegel’s point of view, that Zionism and Israel is an unmitigated disaster both for Jews and the rest of the world. As I said, another troll whose obsession with Israel matches that of the most right-wing settler. Dear Karl Pfeifer, what a strange request; are you asking me whether I am truly against antisemitism? Maybe you should ask if I am really a Jew or you probably think I am a self-hating Jew? And as a matter a fact I did produce a documentary (not about antisemitism per se but about children in Poland hidden during the war). I made it with one of my oldest friends who was hidden in Paris. But I have the distinct feeling that from your point of view one cannot be against Zionism and also be actively against antisemitism. After 1948 it can have only one meaning – the erasure from the map of the State of Israel as a Jewish state. “being against Zionism” is not being against this or that policy or this or that political party; it is about “being against” Jewish national sovereignty, and only against Jewish national sovereignty. It is about opposing the existence of one state, and one state only, in a world of over 200 states. It is the unconditional rejection of that one state in the world on the sole grounds that it is a Jewish state. And, on another point, I have never met a Jewish ant-Zionist (or non-Jewish for that matter) who is an antisemite. On the contrary, their calls for the destruction of the Jewish state of six million people (one-third of which is not Jewish) is always made in the name of the love of the Jews. Yuk, using being a friend with Holocaust survivor for a defence for “being against Zionism”. Dear A.O., initially I was willing to give you the benefit of the doubt: that you actually had an intelligent perspective on the issues here but this, alas, proves not to be true at all. Only someone with skewed values would suppose that the idea of Jewish National Sovereignty (is that different from Catholic or Islamic national sovereignty? or Hindu?) – whatever the hell that really means – is congruous with the legal principles of the modern democratic state; or perhaps what you really mean is something akin to mid-twentieth century American where African Americans were still 2nd class citizens? And Jews were restricted by quotas; but never mind your knowledge of history is clearly limited. I have never claimed to have read Mr. Jacobson’s novels but responded to HIS quotation (he did write the initial post here?) but when in London I will definitely determine whether they interest me as literature; AND, since you are obviously someone who relishes anonymity, I haven’t bothered with determining who you really are (not that your views would interest me anyway) but if you can figure out how to navigate google you’ll find my identity easily accessible. Absolute Observer, I agree. Really it is unbelievable. The fellow lives in Hungary where on TV stations, radio and in the Media unbelievable antisemitic incitement is going on some oldfashioned antisemitism and a lot behind a mask of “antizionism” and all he has to tell us, that he made a documentary on children in Poland etc. Yes he singles out Israel in Budapest where antisemitism is rampant, he does nothing against that and he wants to get from us, that his motive is moral and noble. So Siegel finally unnmasks himself as a supporter of the Stalinist line of Zionism=Racism. My, my, what a surprise. Not only nostalgic for the 1890’s, it seems that Allan is also nostalgic for mid-20th century totalitarianism. Fair enough, apart from its murder of millions, it rampant antisemitism and its penicious influence on the left in Britain and elsewhere, I am sure that what they said about “Zionism” (with which Siegel agrees) is, without question, valid and a good guide to the contemporary Middle Eastern situation. Whilst I do not have a webpage, one wonders what the real reason is for Allan’s reticence about disclosing his site. From what I understand, people jump at every opportunity to publicise their meanderings on a whole host of issues. But, maybe, Allan is different. Strange, I thought all history was “ideology”? Siegel sure does like skewering people. Hardly surprising he has adopted the equally Stalinist line that Zionism is racism. Allan Siegel continues to ignore uncomfortable postings that contradict (with evidence) that which he believes. The response of the anti-intellectual through the ages. When are you going to respond to my postings? When are you going to acknowledge that ben Gurion didn’t say the things you claim of him? And when are you going to read the book by prof Dina Porat I referenced above? Or is the answer to all three questions never? Silence would indicate assent to the final question. Why is it that, whenever the question of anti-Semitism is raised, anti-Zionists respond by condemning Israel’s existence? Not necessarily. Only someone without any ability to think outside their own obsession concludes Israel is the only country suffering from the contradiction of the universalism inherent in the ideal of a State and the particularism of its criteria of inclusion or exclusion. Or, am I wrong and anyone can simply become a US or British or Hungarian citizen and they have no criteria on which such citizenship is granted? Note also, that non-Jews can become citizens of Israel (over a third of its population is not Jewish). If only you are as half as clever as you think you are. Oh well, can’t have it all. Normal nonsense, Israel as a colonialist racist endeavour; links between nazis and antisemites, one can’t criticise Israel without being called an antisemite; secret Israel Lobby; ethnic cleansing (this time Muslim, as opposed to Arab), etc. etc. I think the fact that on the sidebar on the left (the one that lists Siegel’s “twitterings”, Israel appears in the boldest font says it all really. I appreciate that most of us have read it before again and again and again and again……………But no doubt Allan thinks he’s being very original and clever; as do the countless clones who repeat this stuff over and over and over and over again…. Doctors’ raison d’etre is disease. Without it, the exploitative nature of their profesion becomes clear. Thus, medicine and disease have been inseparable since the latter provided the tenuous moral justification for the former. Criticism of doctors and medicine has been difficult because doctors always claimed to oppose disease, and so they were able to portray criticism of doctors as in some sense ‘pro-disease’. Thus the medical profession continues to strip women naked, to conduct the most humiliating examinations of its “patients” free from any criticism. Surgeons even cut great gashes in people and stick their hands inside them. All in the name of fighting diseases. Do you see now, how doctors need disease? It is the material basis for their material priveleges and for their social license to break all sorts of taboos. The truth is that it is the doctors, with their claims to “knowledge” and their professional organisations which maintain by all means the discursive formation of knowledge-power, who are the real problem, not the diseases. Diseases are simply innocent micro organisms trying to exercise their rights to live normal, natural lives. It is the doctors who hound these micro-organisms, trying to kill them and to “cleanse” them out of the human body. If only there had never been any doctors, we would all be much more healthy and the diseases would have won self-determination hundreds of years ago. One final point. There is no difference between private medicine and Obama’s “social” medicine. All are fascistic. “Zionism’s raison d’être is anti-Semitism;” note the usual blaming the victims syndrome. Without antisemitism possibly no Zionism, no Israel…Quite possibly. But it never occurs to such people that many Jews would be quite happy to live as citizens in peace, with equal human rights, etc, as the non-Jews among whom they have settled. Note the Bundists that allan siegel is beatifying all over the place. Note people like my father: left-winger, trade unionist, anti-fascist, etc. Never occurred to him to make aliyah, he was too “British” for that. But boy, was he a Zionist! However, given antisemitism, and Zionism, once it becomes viable, is a natural reflex among the vast majority of Jews. And with good reason. However, this is presumably recognised by the likes of a. siegel as false consciousness. Shows how much he knows. « Tory policy is now for a free movement of people?